From our office in Minneapolis, MN, we have represented clients in all types of disability cases throughout the state of Minnesota, including ERISA-governed group plans, group plans provided to government employees and individual or private disability insurance policies. I have received a letter informing me that my LTD benefits are going to terminate, but I am still disabled….now what? First, you must determine which law governs your claim. With a few exceptions, if you have a long term disability (LTD) benefits through your job and are enrolled in group disability insurance coverage, your claim is governed by the Employee Retirement Income Security Act of 1974 (ERISA). ERISA governs important LTD claim procedures which must be followed very carefully. In general, ERISA does not apply to government employees nor does it apply to individual insurance policies, i.e. policies that a person independently purchases. Please note that disability benefits under insurance policies are different from Social Security Disability Benefits. We do not handle Social Security claims, but would be happy to refer you to an attorney that does. If your disability claim was denied, or if your LTD benefits are terminated, you must act quickly to protect your rights. Normally, LTD benefits plans give you the right to appeal a denial or termination of your benefits. In Minneapolis, MN, all plans are different and outline the process and very specific deadlines that must be followed exactly. If you fail to adhere to these deadlines, you may be forever barred from bringing a claim for your LTD benefits. Learn more. What can Beedem Law do for me? File your lawsuit in the appropriate venue, either Federal or State Court. Because LTD claims under ERISA are governed by Federal Law, BEEDEM LAW is a firm willing to file your claim in Federal Court. With the passing of the baby boomer generation, a lot of questions are being raised about the state of healthcare and retirement policies in the United States. The Employee Retirement Income Security Act (ERISA) of 1974 was signed into law to set the standards for retirement and healthcare plans for employees working in private industries. Under ERISA, federal law requires that plan information, including plan features and funding, fiduciary responsibilities on the client and provider’s parts, appeals process policies, and rights to compensation for withheld rights or benefits, be provided to the customer at time of issuance. Several amendments to ERISA have been signed into law since 1974. The two major amendments are the Consolidated Omnibus Budget Reconciliation Act (COBRA), which allows workers and their families to keep their health coverage for a specified period of time after termination or dismissal, and the Health Insurance Portability and Accountability Act (HIPAA). HIPAA protects workers with preexisting medical conditions from discrimination from coverage based on their individual or family health, and protects their right to privacy. ERISA generally does not extend outside of the United States, and does not cover group plans maintained by a governing body, religious establishment, or those made simply to comply with unemployment, workers compensation, or disability laws. Long-Term Disability Insurance (LTD) assists in the replacement of one’s income for specific periods when one cannot work at all or only has the ability to work part-time due to a disability. For LTD coverage, a monthly premium must be paid by either oneself or the employer. In a situation where an injury or illness hinders one’s ability to work and obtain benefits, one should make sure to review the policy for application requirements. Most policies provide a specific time period in which the insurer must receive notice of a claim. If notice is late, you could be barred from making a claim for disability benefits. How long must I wait in order to receive benefits? These LTD policies call for documentation from a doctor that gives an explanation of the condition in question and provides restrictions and limitations that would prohibit a return to work. LTD policies generally have a period of time one must be disabled prior to receiving benefits. This is usually called an elimination period. Depending on the terms of the benefit plan, the duration of the elimination period can be anywhere from 30 days up to a year. For those individuals with short-term disability insurance (STD), STD may be converted to LTD coverage after a defined period of time. Keep in mind, however, receipt of STD benefits does not guarantee receipt of LTD benefits as the policies and terms will be different. After the end of the LTD elimination period, one receives a certain percentage of wages they earned before becoming disabled. Although the percentages will vary between policies, the payments usually cover 60 to 70 percent of your pre-disability earnings less any other income received. For example, if your job paid you $2000 monthly and your policy pays 60 percent of your pre-disability earnings, you will receive $1200 every month less any other income received. Other income may include receipt of social security disability benefits, part-time work earnings, workers’ compensation benefits, etc. What happens after my LTD benefits period is over? During or after the LTD benefits period, you may have the option of applying for Supplement Security Income (SSI), Social Security Disability Insurance (SSDI), or other programs. In case that you are enrolled in LTD and SSDI or SSI is part of your plan, your LTD benefits may be reduced. Please also keep in mind that the definition of disability may change at predetermined time periods. For example, for the first 24 months, you are disabled from performing the essential duties of your Own Occupation. Thereafter, the policy may require, a claimant must be disabled from any occupation that they are qualified to perform. It is important to review your LTD policy so you are aware of the terms, definitions, and requirements to continue to qualify for long-term disability benefits. Beedem Law is the premier Minneapolis, MN law firm helping those individuals that are unable to return to work due to sickness or injury. We are happy to answer any inquiries regarding disability insurance in Minneapolis, MN. 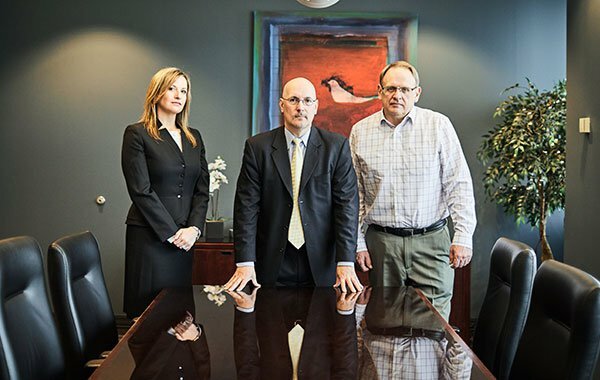 If you are suffering through a long-term disability, it is imperative that you employ an experienced Minneapolis, MN legal team to represent you. Contact us today. At Beedem Law, we know that long term disability benefits are often denied for all the wrong reasons. If your LTD benefits have been terminated, are about to be terminated, or were denied, contact us immediately. Our team has extensive experience with ERISA, LTD claims, and LTD appeals. Even more important, we're genuinely invested in our client's well-being. Call today to schedule a free consultation with one of our experienced attorneys.